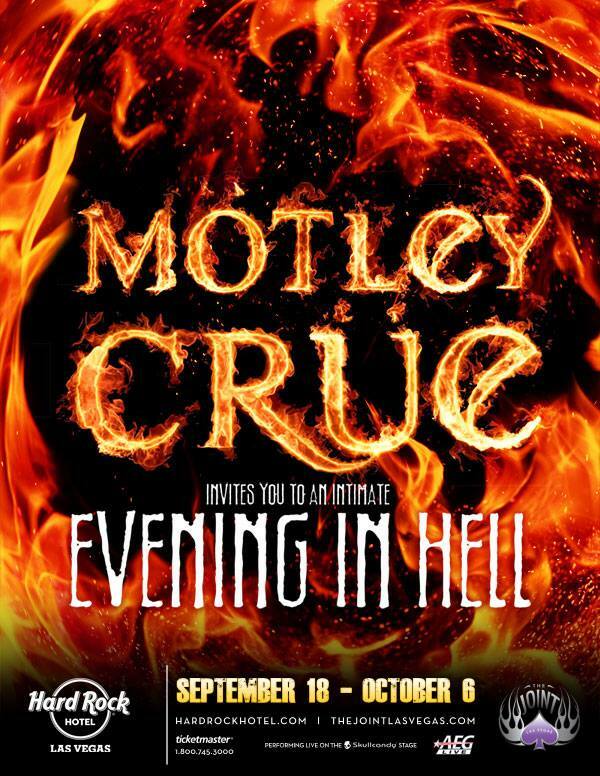 The group, who will return to The Joint at Hard Rock Hotel & Casino for an exclusive 12-show run from September 18 through October 6, have released their promo poster for the series. The fall shows will be an all-new production and the band is pushing their own envelope once again. The production will be designed exclusively for The Joint, with plenty of surprise elements for fans and a set-list full of hits. Since the Crue’s Vegas debut in 2012, Guns N’ Roses performed their “Appetite For Democracy” residency last fall, while Def Leppard played their “VIVA! Hysteria” series this spring.